Yum - pass me a biscuit.......please! Love the mug! Now where are my biscuits?! 8am and 4pm for me please! Cool mug! Nothing beats a good cup of tea and a biscuit! Hee hee love the phrase on the mug! Oh I nearly bought that mug SO SO many times but money is so tight at the moment. Love it! Officially my favourite sweet biscuit! You should youtube Doc Browns; My Proper Tea. It's great! 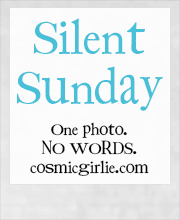 Silent sunday is a cute idea! and I LOVE that mug! So happy to have stumbled across your blog. It is delightful! And because of it's delightful-ness I am your newest follower! Hope you will stop back by mine and follow! I have just finished the packet of custard creams. I started the packet of custard creams yesterday.Opps!